In an attempt to woo non-Bengali speaking community, CM criticised demonetisation saying it was detrimental for small business. Lashing out at Prime Minister Narendra Modi, but without naming him, on Tuesday at the meeting with the non-Bengali speaking people at Simulia in Purulia on Tuesday afternoon, chief minister Mamata Banerjee alleged that from morning to evening people fear to see the face of the leader of this country. A conspiracy has been going on to sell the country but politicians should protect the country instead, she alleged. 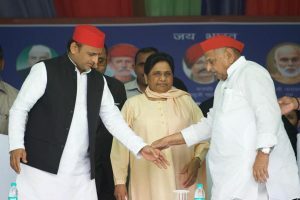 She further said: “The leader of the nation should be a person whom the people of the country should respect instead.” Banerjee claimed that the people of Rajasthan have been fed up with the policies of the Central government and she has got information that the ruling party will loose both the states of Rajasthan and Madhya Pradesh. Notebandi have been responsible for so many business collapsing in the country. Demonetisation have ruined the lives of both common people and traders, she added. The women used to save money in their laxmi vandars from the monthly house expenses in earlier days, but the present Central government has been eyeing on that laxmi vandar too. The Enforcement Directorate and the Central Bureau of India have been disturbing the business and trading community, the chief minister claimed. “The Delhi government has harassed me the most but I have fought equally with them,” she said. The entire country should be looked up to as one single nation instead of focusing on individual states and religions, she said. The Central government highly boosts of ‘Beti Bachao Beti Padhao’ programme but they have earmarked only Rs 100 crores budget for the entire nation whereas in West Bengal her government has provided a whopping budget of Rs 6100 crores for Kanyashree Project, Banerjee said. 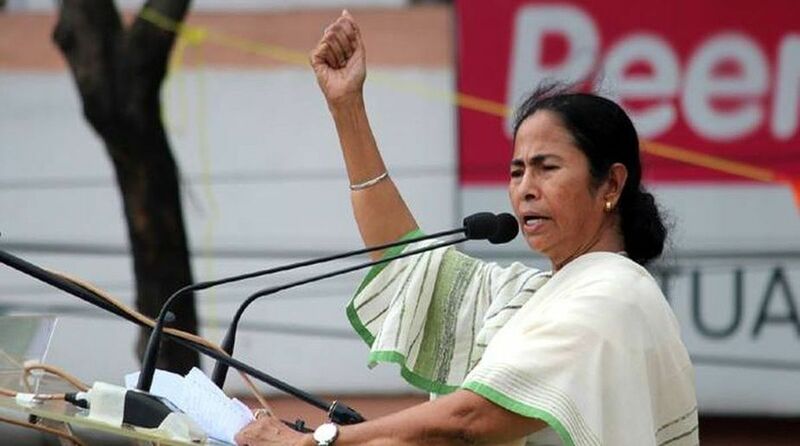 The chief minister claimed that her government is with the industrialists, business and trading community, non-bengalis, women, tribals, unemployed youth etc. But the trading community has been threatened by the Centre by various means, she alleged. When the government at New Delhi will change these people will have smile on their faces, Banerjee said. She said that she is not keen on getting the chair instead she wants love and affection from the people. Like Bihar, she has also given two days holiday on Chat Puja, she said. The chief minister has urged the non-Bengali business community of Purulia to participate in the upcoming Biswabangla Global Business Summit (BGBS) at New Town on first week of February next year. This is the first time a chief minister has held a meeting with the non-Bengali speaking community in Purulia. In the 2019 Lok Sabha elections, the non-Bengali community will play a major role as the BJP has posed a big challenge in Purulia since the three-tier gram panchayat elections, which has lead up to Tuesday’s meet, observers feel.